Have you read the previous post? If not you better get to it, so you'd know all the matters of being a #GoalDigger. Let me stress, were not gold diggers ha, we please ourselves knowing we have accomplished something in life. As I did, I counted a lot of heartaches and disappoints last 2017, but also I have acknowledged all the wonderful things the Lord did to me and my family, and they are uncountable as the stars. So, let me begin to help you establish yourself as one. 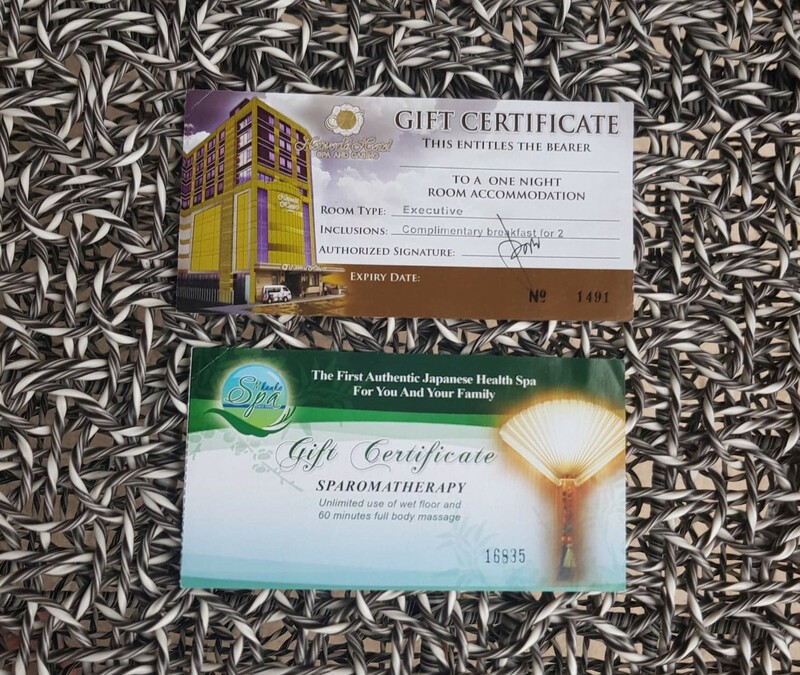 I'm giving away Gift Certificates from Networld Hotel Spa and Casino. + One GC bearing one night accommodation to an executive room with complimentary breakfast for 2. 1. There will only be one winner for the 2 GC's. 2. 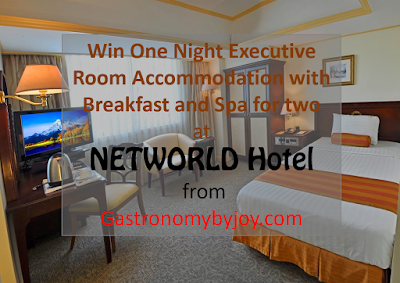 There is no expiration to both, but the winner will be the one to call Networld to book their room and spa service. 3. GC's will be sent to the winner's address. 4. Contests starts today, January 2, 2018 and ends January 8, 2018. 5. The announcement of winners will be on January 9, 2018. To join and be eligible to win. All you need to do is post or repost the photo above in Instagram and Facebook. Also, kindly use the hashtag #gastronomybyjoyxgiveaway and #gastronomybyjoy. Comment below with your name and contact details. Lastly, don't forget to tag three of your friends in IG or FB and comment in my IG or FB account why you want to be a #Goaldigger. Thank you for this giveaway! Happy New year! Link to my shared post. A Goal Digger in 2018 and for Years to Come!